We teach all students that have an interest in drums and percussion, both adults and kids. I had my first drum lesson when I was in the third grade growing up in Atlanta, GA. Then in 4th grade I joined the school band and continued private drum-set lessons and school band all the way through high school. Throughout those years I participated in everything I could from marching band, to the all-city Grammy Band to starting my own Rock bands with neighborhood friends. After high school I left Atlanta and moved up to the cold midwest to attend Northwestern University. I received a Bachelors of Arts from the Northwestern School of Music in 1998 and then decided to stick around Chicago and pursue a career as a touring musician with the band I helped form in college, Rebecca’s Statue. We moved into a house in Lincoln Park together and took up a variety of ‘odd-jobs.’ It was through a daycare job at an athletic club that I met a kid who convinced me to teach him drums. Shortly after that I applied for a job at Old Town School of Folk Music on Armitage, was hired, and have been teaching drums there ever since. A couple years later I heard about an opening for a teacher at Lincoln Elementary. I have now been the Assistant Music Director at Lincoln long enough to see my students grow up and graduate college. I continue to teach at both Old Town and Lincoln as well as am hired as a guest clinician/teacher at many schools around the city of Chicago. I have worked at the British School of Chicago, Francis Xavier Ward, Noble Street Charter, Skinner Elementary, the Choir Academy and many many more. I also love to present workshops for both children and adults at summer music festivals, such as Lollapalooza and Summer Camp. Besides teaching I love to travel around the world finding out about new styles of music and new instruments. I also perform around Chicago in a variety of bands and groups. Variety is the spice of life so I enjoy playing in many different settings from Hard Rock to World Music to backing up choirs and solo artists. I also love to tour. 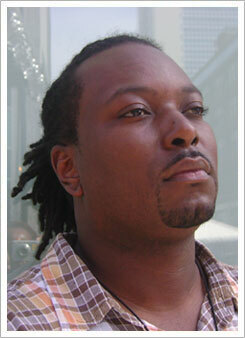 I spent 6 years performing at clubs and festivals all over the country with Chicago Afrobeat Project. Today you can find me on the road with either my original group called Kava, Afro-Zep – an Afro-beat/Afro-Pop group I helped create that plays all Led Zeppelin songs, or my latest endeavor, Smash-Chicago’s first live mash-up band. Greg Fundis is a rising star among live music fans and music critics alike being described as “phenomenon”, “a monster performer in any setting” and labeled as “killing” by Ravi Coltrane. Greg has found a unique, creative voice through the drums bringing energy, passion, positivity and groove to every performance. Currently touring with world-renowned guitarist Fareed Haque as well as the Chicago based acoustic funk sensation 56 Hope Road, he has shared the stage throughout the U.S, Europe, Caribbean Islands, Indonesia and Japan with other notable artists such as George Benson, Joey DeFrancesco, Roy Hargrove, Zap Mama, Louis Bellson, Vinny Valentino, comedian Rich Little, Joe Lovano, Bob Brookmeyer, Rudresh Mahanthappa, Tony Monaco, Maurice Brown, Daniel Amat, Michael Paulo and Tom Harrell. Fundis’ drumming can be heard on over 20 studio recordings with artists ranging from jazz to pop/rock to children’s music. Greg was recently recognized in Downbeat Magazine as a notable jazz alumnus holding a Masters Degree in Jazz Studies from DePaul University in Chicago and a Bachelors from Millikin University. While at Millikin, Fundis became an internationally published percussion composer at the age of 19 with his book of compositions, “Contemporary Audition Solos for Percussion” Studio 4 Music/MostlyMarimba). His teachers and mentors have included Brian Justison, Kim Klickna, Joel Spencer, Steve Smith, Louis Bellson, Jim Chapin, Michael Taylor, Guinean Grand Master musician Mamady Keita and Griot Lansana Camara. Founder, president, producer, musician, mentor, artistic director, choreographer, just to name a few, are some of the titles Deshon Newman is known for. Best of the best productions, established in 2002, began as a seed that germinated when Mr. Newman started playing drums in elementary school. Throughout the years, Mr. Newman has played a plethora of instruments, becoming one of Chicago’s best extraordinary percussionist. It was at Englewood Technical Preparatory Academy when Mr. Newman began playing various african percussion instruments, and his participation in the award-winning gallery 37 program, where he was an apprentice artist. Deshon Newman’s mentor and instructor, Terrance Lake and Felix “d-kat” Pollard (gallery 37) were his first influential guidance to the artsy style of african drumming. As Mr. Newman’s destiny unfolded, he took advantage of every opportunity to perfect his craft with emphasis on education. He attended educational institutions such as Vander Cook College of Music, holding the status of artist-in-residence on many occasions, thus allowing him the privilege to study under reputable teachers. As a artist-in-residence, Mr. Newman worked and performed with: Dance Africa, Urban Gateways, Najwa Dance corp., Lupe Fiasco, Joel Hall Dance studios, Alyo’s Children Dance Theatre, and After School Matters, to name a few. With great accomplishments and much more to come, Mr. Newman’s focus is to expand the minds of youth through art in education. His desire to present opportunity in music to our youth and community has established his company to be a beacon of life source to build a stronger outlook and bright future in the hearts and minds of our youth today. 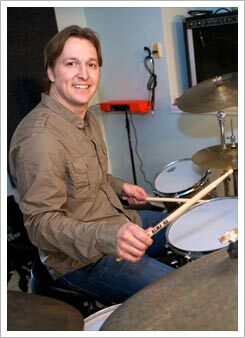 Drew Littell is a seasoned teacher and performer as well as a native to the Chicagoland area. With nearly 10 years of teaching experience, Drew has worked with students of all different ages and skill levels. 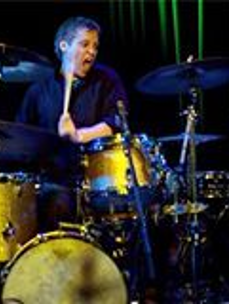 From 2 year olds to 70 year olds and most ages in between, Drew has helped beginners and advanced students alike gain a respect and love for drumming and music in general that will last a lifetime. He has experience in group teaching and private lessons. Drew has studied music since enrolling in the school band program in 5th grade. He has studied day Columbia College and the Chicago College of Performing Arts at Roosevelt University under the guidance of such masters as Tom Hipskind and Paul Wertico (and many others). He is also am active performer and touring artist with groups such as (original funk band) Genome, This Must Be The Band (Talking Heads tribute) and the nationally acclaimed “jam grass” stalwarts Cornmeal. Music for me is about continuity and foundation. Playing music takes patience and respect for your instrument and the musicians around you”Starting out early as an instrumentalist and songwriter, Chris Gangi has performed throughout the country in folk, bluegrass, American, rock, blues, and funk bands. But it is his current project and mainstay for the last 14 years, the nationally touring progressive bluegrass band Cornmeal, that has brought this bassist to a place of content. 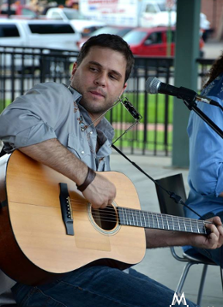 Starting out early as an instrumentalist and songwriter, Chris Gangi has performed throughout the country in folk, bluegrass, Americnan, rock, blues, and funk bands. But it is his current project and mainstay for the last 14 years, the nationally touring progressive bluegrass band Cornmeal, that has brought this bassist to a place of content. Chris has recorded and produced numerous studio projects including 5 albums with Cornmeal and an internationally distributed tribute album to the band Phish with blues legend Son Seals. For 10 years in between tours he taught at the Old Town School of Folk Music in Chicago, IL with a primary focus on teen music education. He has been working with teen rock groups on and off for the last 15 years with long time collaborator Marshall Greenhouse and continues to teach children of all ages in the Chicagoland area.